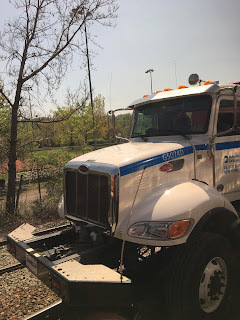 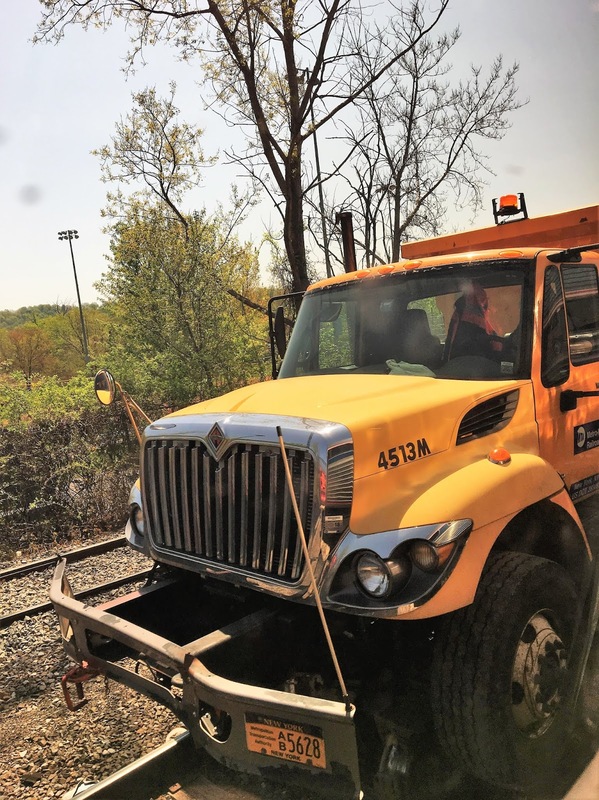 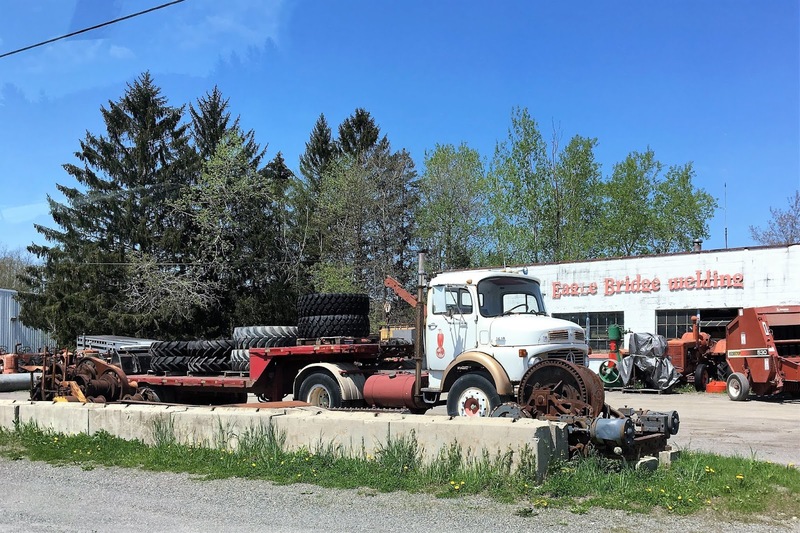 The Road Ranger Blog: Upstate NY and into VT.
My daughter recently travelled by train from NYC up to Albany (the capital of NY) and then by car to friend's place, just over the border, in Vermont. This is her snaps she took on the way. 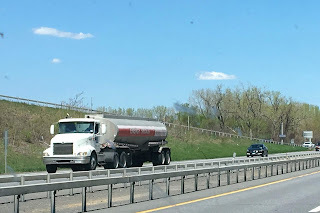 Navistar tanker on the highway. 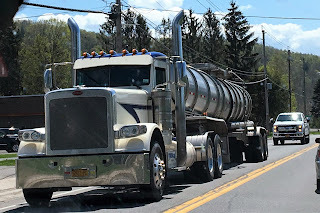 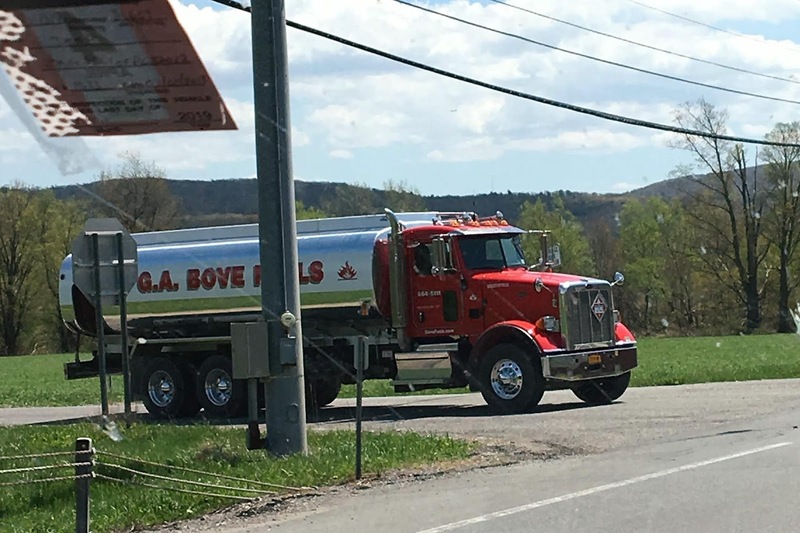 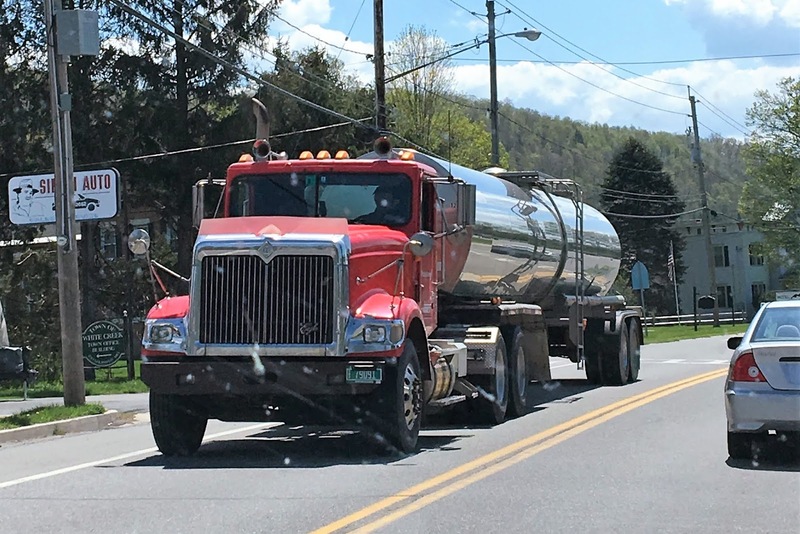 Peterbilt tanker sneaking out of a side street. 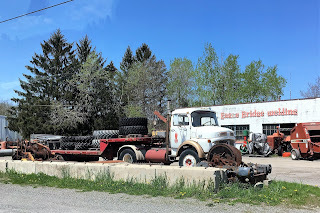 At Eagle Bridge this old old Mercedes 1418, looks to be still in use. 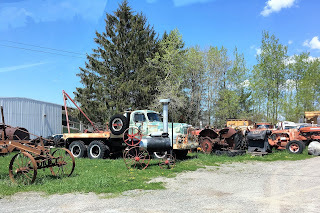 In the same yard is this old International and many old tractors and trucks. 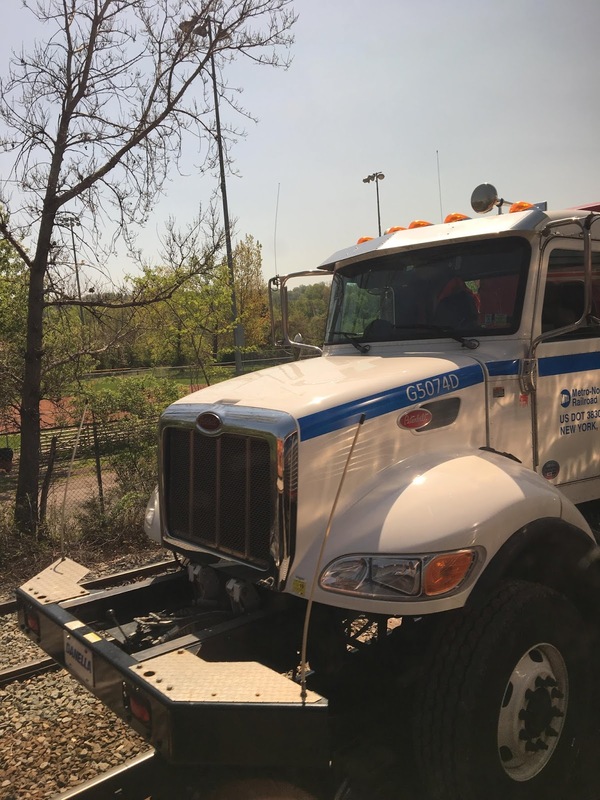 Peterbilt tanker has massive un-silenced stacks. A couple of rail service vehicles.